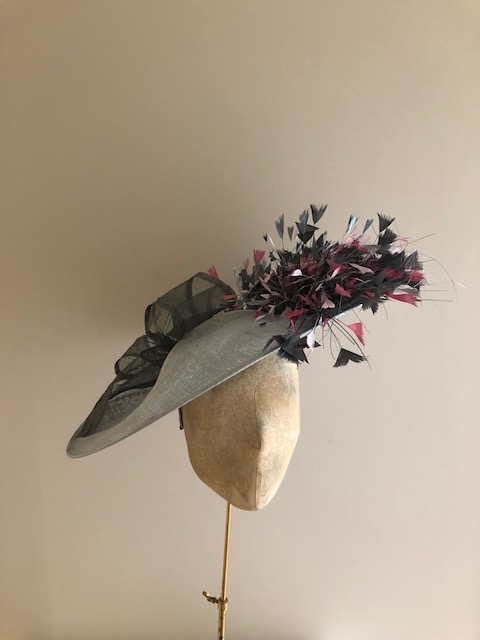 The Cosmopolitan hat comprises a large 18″ sinamay dish base adorned with a spray of cut coque feathers and a sinamay bow. 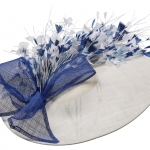 This hat comes on a comfortable head band which we will cover to match your hair colour for a seamless finish. 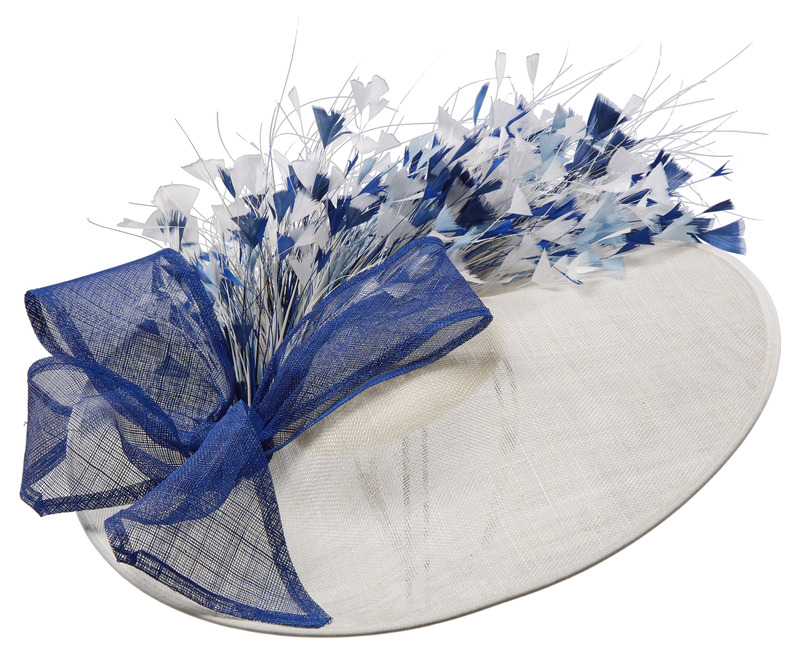 The Cosmopolitan hat is the perfect Mother of the Bride or Groom hat. 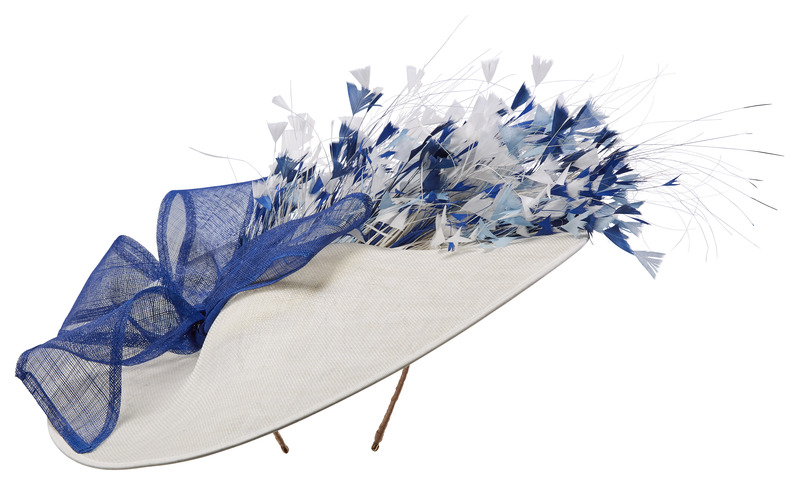 It makes such a bold yet feminine statement. 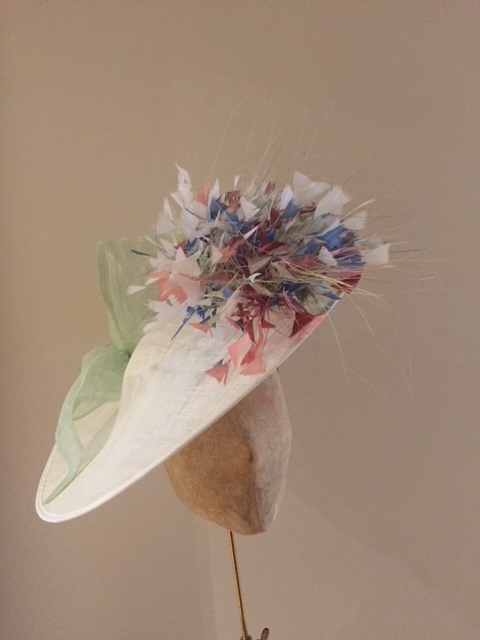 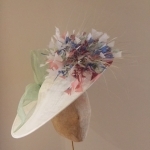 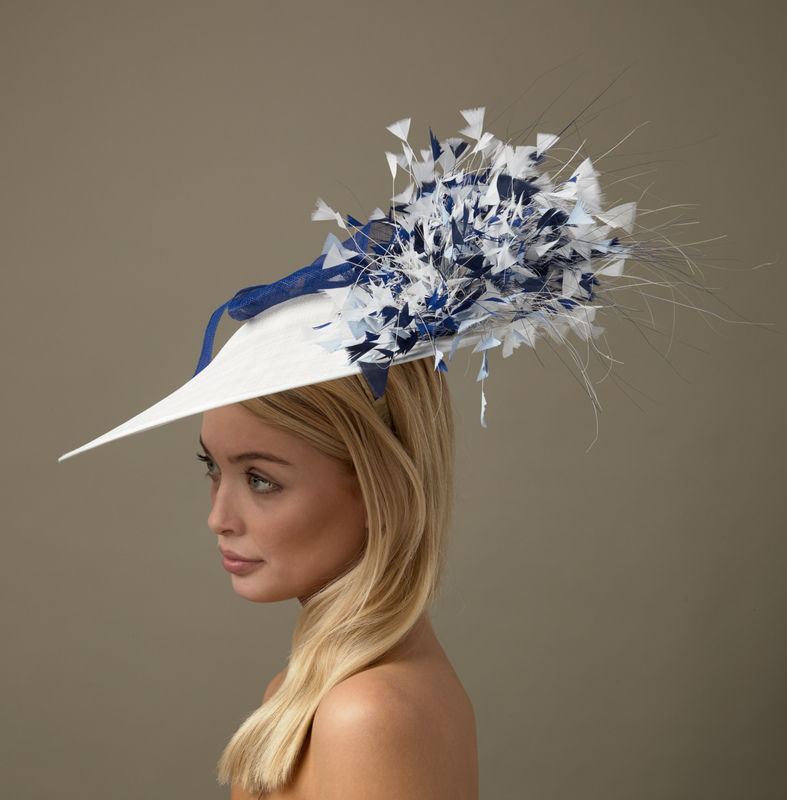 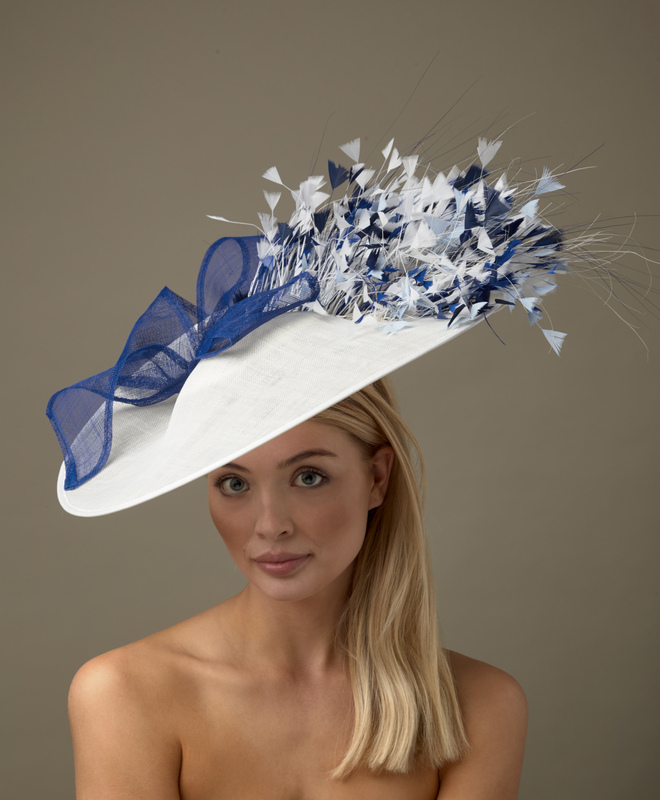 We think it would look rather fabulous at Ascot too! 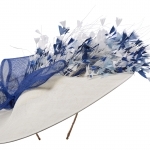 All of our hats are available in any combination of colours from our colour chart. 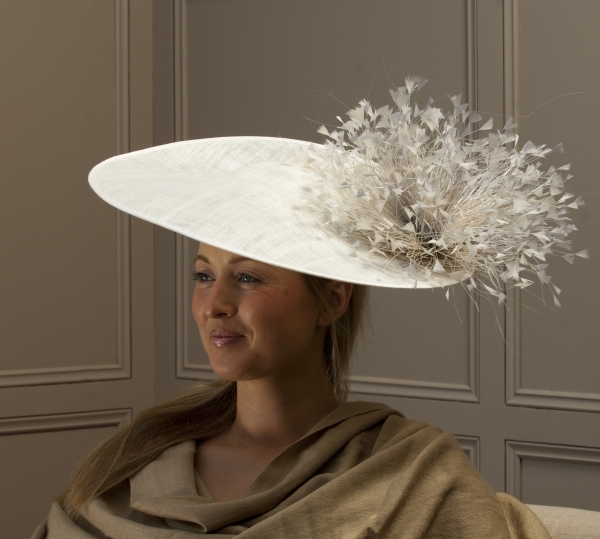 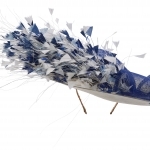 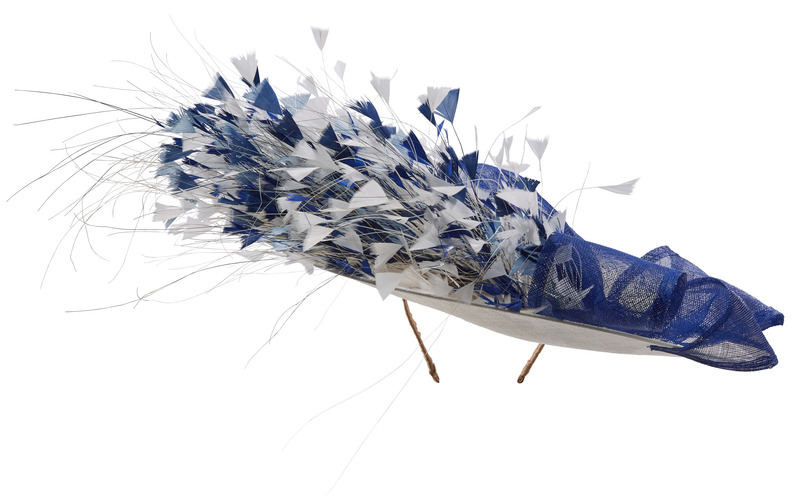 With its spray of feathers this hat is easy to match to your outfit. 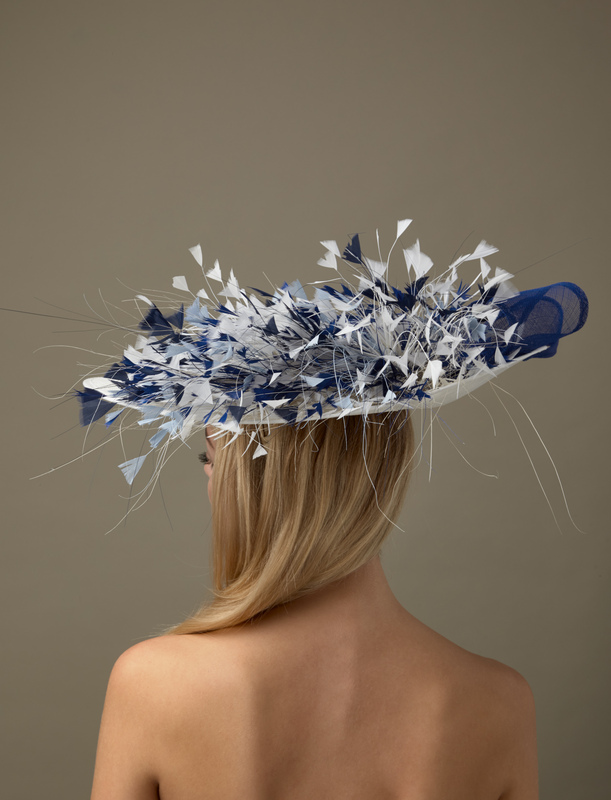 Please email us on info@hostiehats.co.uk if you need us to send you some colour swatches. 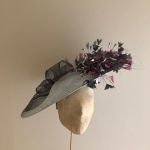 Alternatively you can simply choose our FREE colour consultation service, where we act as your own personal hat stylist, working with you to match your hat perfectly to your outfit. 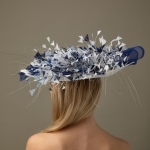 We also send you pictures of your hat when its finished for your approval before posting out in one of our sturdy boxes.